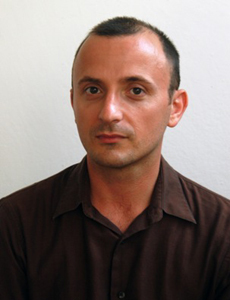 Salvatore Scibona – one of our Fiction/Creative Nonfiction Fellows from 2006 – has garnered auspiciously good reviews for his novel The End. See why at three upcoming readings: Harvard Book Store in Cambridge on Tuesday, July 1, 7 PM; Newtonville Books (with Darin Strauss) on Sunday, July 13, 2 PM; and Jabberwocky Bookshop in Newburyport on Friday, July 18, 7 PM. We spoke to Salvatore about the first-book experience, “seeing” as a character, and the delicate balance of writing fiction. MCC: You’re someone who’s worked with many authors (Salvatore administers the writing fellowship at the Fine Arts Work Center in Provincetown). So I’d assume, going into the release of The End, you were already pretty familiar with the literary world. What’s been most surprising to you about the experience of publishing a book? Salvatore: My local Provincetown bookseller tells me that on the day the book came out, he sold a copy to a woman from New Hampshire, a tourist, the wife of a retired minister. It sounded interesting, she said; she liked the cover. What could be more commonplace than a person on a walk in a small town stopping to buy a book and taking it home? But also, what could be more unlikely, more uncanny from a writer’s point of view, than that a stranger he will never know should walk down a street with years of the writer’s thoughts in her bag? A book is such an elegant technology, something so complex in such a crude device. I hadn’t thought of that before the bookseller described this woman in an email. I mean, the book is just wood and ink. All this trouble to make an object about the weight of a grapefruit or a cup of sand. I’m surprised and consoled by that. All I’m doing is making this little thing to put in a woman’s purse. MCC: Several reviewers have compared you to Saul Bellow. How do you react to the comparison? Bellow published my first story in the sixth number of News from the Republic of Letters, one of several journals he started over the years with Keith Botsford. I have to confess I hadn’t read Bellow at the time except for a story and a short novel that had made little impression on me. It was only years later, after The End was almost finished, that I woke up to him and read Humboldt’s Gift and Herzog and many of the other novels and fell in love. If there’s any reasonable comparison between The End and Bellow’s novels, I think it’s that they both involve characters for whom the objects of passion and intellect overlap. The characters get worked up over ideas. What I love in Bellow, and what some of the characters in The End would have loved in him if they were readers-none of my characters are intellectuals, like so many of Bellow’s are-is the exuberance with which he depicts the life of the mind. It’s a mistake to ascribe the erudition of Bellow’s characters to an old-world insistence that literature must concern elevated ideas. Bellow is an American, like his Chicago-born Augie, and goes “at things as [he has] taught himself, free-style” which in Bellow’s case is also an American style: with great self-assurance and reckless faith in the power of passion and will over reason. The ideas are there because they are part of life, not because they explain life. And yet explicit ideas take on a greater urgency in Bellow than in any other 20th-century American writer I know, because his characters feel the ideas so deeply. Think of poor Herzog, writing his letters to the great dead geniuses of the past, and of the other Bellow narrators looking with such tenderness and admiration at the dynamo minds of Ravelstein and Humboldt. People don’t just think ideas in a Bellow novel; they experience them. MCC: You’ve had four readings so far, in New York and Cape Cod. Have any readers surprised you with unexpected takes on your work? Salvatore: I hadn’t expected that there would be such a diversity of opinion about which character was the emotional center of the book. Some readers have told me they identified most closely with Mrs. Marini, the 93-year-old abortionist who I think of as the book’s central figure; others identified with the young father Enzo; others with the Jeweler; others with Rocco, the Christian baker whose faith abandons him. That was a sort of first principle, but I didn’t foresee that it would result in characters that were so different from one another and certainly from me. My ideal wasn’t that they should all be likeable, but that they should be like themselves. MCC: Am I correct that this book took over a decade to write? What remains of the original idea, the book you started writing ten years ago? Salvatore: The finished novel is like a house that stands on the ruins of a previous house that stood on the ruins of another house that was built on a meaningless little patch of ground. The story began with a speck of observation: the menacing sound of a man’s shoes in a stairwell. Then he gets to a door at the top of the stairs. What’s behind the door? That’s all I had. I had no pre-existing idea of setting, time, character, plot, theme. I observed and tried to stay out of the way. I didn’t want to impose on the freedom of the characters. At the same time, I was composing a novel, which arranges free action so as to culminate in a way that seems, to some degree, inevitable. That’s what took so long (it’s all true about the ten years, alas). If a writer makes the characters obey his scheme, the characters lose their freedom and the novel becomes just a confection, an allegory. On the other hand, if the writer exercises no control over the characters’ actions, the novel becomes incoherent. I wanted to create an illusion of freedom in an unfree fictional world. Which seems to have taken a long time.